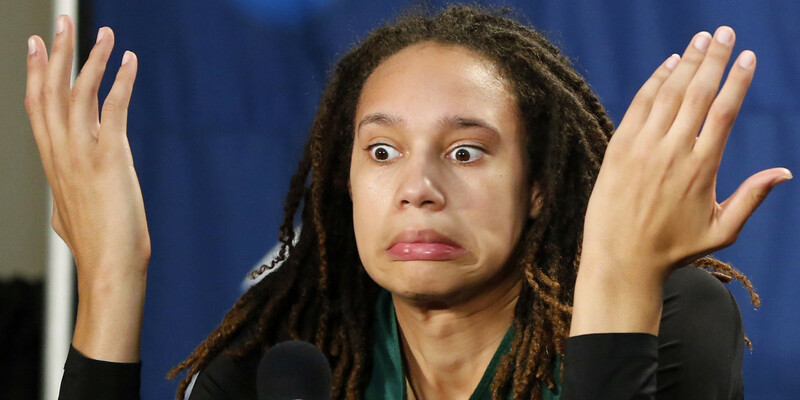 Currently playing basketball in China with the Beijing Great Wall in the WNBA off-season, Phoenix Mercury star Brittney Griner was cut on the elbow by a drunk man wielding a knife. The man chased Griner and three other teammates onto their team bus following a practice in Shenyang in northeast China. No stitches were required; Griner was wearing two thick winter coats that prevented any serious injury. She went on to thank everyone who’s been checking on her. And the Mercury tweeted, “We are thankful Brittney and her teammates are all okay after this incident.” In August Griner was named the WNBA defensive player of the year.